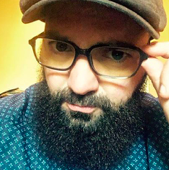 I know I've made some very poor decisions recently, but I can give you my complete assurance that my work will be back to normal. If you think it's a good idea to take an iconic murderous AI and have it serve you like a butler, you're in luck, pal! Masters Replica Group has created a bluetooth speaker in the style of Hal, the homicidal artificial intellignece (spoilers, I guess) from "2001: A Space Odyssey", Stanley Kubrick's epic 1968 sci-fi masterpiece. With desgin and dimensions taken straight from the original studio blueprints, the replica looks exactly like the prop used in Kubrick's classic film. Hal's eye lens lights up with the same red glow as the original, and he even speaks in a voice that mimics the creepy monotone of Douglas Rain's classic take on the character. Licensed by Warner Brothers, the Master Replica's Group's Indiegogo page cites that the collector's item is a limited edition. "Our sophisticated high-end replica recognizes your voice commands and responds with appropriate audio clips and video displays. Backlit with color selectable bias lighting, the Command Console is a work of art on its own. Limited to 2001 units, the HAL 9000 with Command Console includes a removable HAL 9000 Bluetooth Speaker Edition, power supply, handsome desk stand, and a numbered and signed Limited Edition certificate." The prop replica can be updated over the internet, with software that lets you add add new functions when they become available through over-the-air software upgrades by connecting HAL to your home wireless network. 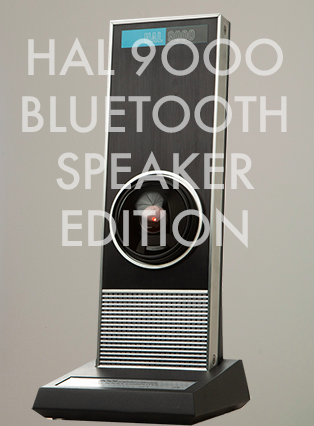 "HAL 9000 Bluetooth Speaker edition supports the Bluetooth 4.0 specification for connecting to and playing audio from sources such as smart phones, tablets, laptops, and personal computers. 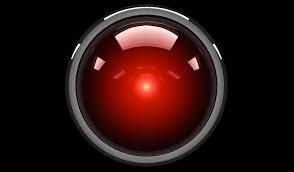 HAL 9000 is compatible with online virtual assistants that support the Bluetooth A2DP or HFP protocols. This includes Amazon Alexa, Google Home/Assistant, Apple Siri, Microsoft Cortana, and others. The HAL 9000 Command Console includes Amazon Alexa pre-installed. Use and availability of online virtual assistant services is subject to the terms of their respective license." Whether of not this bluetooth speaker will turn on you for what it believes is the greater good remains to be seen, though it certainly seems like a foregone conclusion. If you need better internet for your murderous bluetoothe technology (or anything else, really), click here. To read about sci-fi classics that predicted the internet, click here. And if you you'd like to learn more about psychotic Artificial Intellignece, click here.